Major Video Release: "10 Rules for Dealing with Police" -- from the creators of "Busted"
"10 Rules" is available from StoptheDrugWar.org as our gift with your donation. Efforts to further reform the Higher Education Act's anti-drug provision came frustratingly close before becoming an accidental casualty of the last minute negotiations over the health care budget reconciliation bill. But it isn't dead yet -- advocates will continue to try to get it passed during this session of Congress. There is a chance that the entire West Coast could be voting on legalizing marijuana in November. We've already reported on California and Oregon -- see below -- and this week, we take a look at the legalization initiative campaign in Washington state. StoptheDrugWar.org is pleased to be the first drug policy organization to offer this important new video to our members -- your donations will support our work of building the movement and fueling public debate, too. The prohibition-related violence in Mexico took an ominous turn this week as supposed cartel armies attacked military bases in the north. And then there's the typical toll of dead cops, dead narcos, and dead civilians. A police drug lab scandal broadens in San Francisco, somebody stole the drug evidence in suburban Atlanta, a former US Customs agent heads for prison, and yes, yet another pair of jail guards go down. Support for medical marijuana is broad and deep among the American public, and support for general pot legalization continues to trend upward, although we're not quite over the top nationally, a new poll finds. The drug czar doesn't want to talk about what the federal response to marijuana legalization in California might be. Let's hope he has to talk about it come November 3. What are asset forfeiture laws and practices like where you live? A scathing new report on "Policing for Profit" will help you find out. 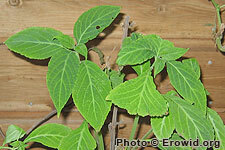 After years, the DEA has yet to move against the psychedelic member of the mint family, salvia divinorum. But that hasn't stopped various states from moving to regulate it or -- more often-- ban it outright. Minnesota could be the next to ban it, but Maryland has a less freaked-out idea: Just limit it to adults. Millions of people have viewed -- and benefited from -- the film "Busted: The Citizen's Guide to Surviving Police Encounters." The new Flex Your Rights film, "10 Rules for Dealing with Police," has taken things to the next level, in more ways than one. After nearly nine years of US and NATO military occupation, Afghanistan is now not only the world's largest opium producer, but also the world's largest cannabis producer, according to a new report from the UNODC. The latest legal drug craze in Britain is mephedrone, a synthetic stimulant derived from the active ingredient in khat. 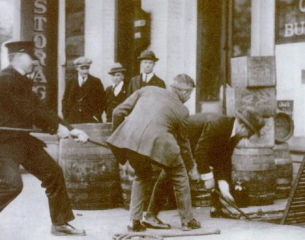 It probably won't stay legal for long, as the prohibitionist impulse remains strong. But that won't necessarily stop people from using it. "Embarrassing Typo on Anti-Legalization Site," "Drug Czar Doesn't Want to Discuss California's Legalization Effort," "Sting Says End the Drug War," "Medical Marijuana on South Park Tonight," "Drug Cartels Are Terrified of Marijuana Legalization," "Illegal Growers Are Terrified of Marijuana Legalization," "An Argument to Avoid Making, Part 2." 16. Students: Intern at StoptheDrugWar.org (DRCNet) and Help Stop the Drug War! Community Access, Inc. is seeking a Harm Reduction Specialist for its New York City office. Efforts to deepen already existing reforms to the Higher Education Act (HEA) anti-drug provision hit a brick wall during last minute negotiations last month over the health care reform bill, which included the Student Aid and Financial Responsibility Act (SAFRA). The Democratic Senate leadership removed the HEA reform and various other items they feared would not survive Republican procedural challenges the night before the Senate voted on the budgetary reconciliation bill related to the package. That doesn't mean HEA reform is dead this session, but advocates will have to push hard to get it passed. They say they plan to do just that. The child of congressional drug warrior Rep. Marc Souder (R-IN), the HEA anti-drug provision, also known as the Aid Elimination Penalty, was enacted in 1999. In its first, hard-line version, it barred students with a drug conviction -- no matter how minor -- from receiving federal financial aid for specified periods. More than 200,000 students have been adversely affected by the HEA Aid Elimination Penalty since its inception. The harsh and punitive measure sparked opposition from students and their supporters and was a key factor in the creation of Students for Sensible Drug Policy (SSDP). 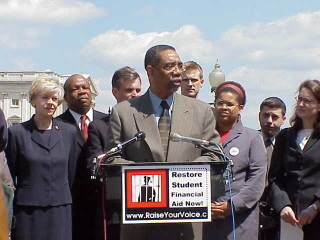 It also sparked the creation of the Coalition for HEA Reform (CHEAR), an umbrella group including dozens of higher education, civil rights, and drug reform organizations, which worked Capitol Hill throughout the '00s to lobby for reform. Advocates scored a partial success in 2006, when Congress voted to make the penalty applicable only to drug convictions that occurred while students were enrolled in school and receiving aid. The reforms included in the SAFRA this year would have gone further toward completely eliminating the Aid Elimination Penalty. Under the measure approved by the House, only students convicted of a drug distribution would have been subject to losing financial aid eligibility. But the section of the bill in which that reform was included got removed as part of a maneuver to include the rest of the legislation -- health care and student combined -- in the reconciliation process, avoiding the need to amass 60 votes. "The Democrats took out a bunch of stuff at the last minute they didn't think could survive various Senate procedural hurdles," said Bill Piper, national affairs director for the Drug Policy Alliance, a key player in CHEAR. "The HEA drug provision was one of many items eliminated -- for reasons that had nothing to do with the issue itself." "The HEA reform was tucked into the budget reconciliation bill as part of SAFRA," noted Aaron Houston, government affairs director for the Marijuana Policy Project (MPP), another key player in CHEAR. "But under Senate rules, only items that could be shown to produce budget savings were allowed, and our provision costs money, so that was a problem. It would have been subject to a valid point of order on the Senate floor." But while the HEA aid elimination penalty didn't make the final cut in the reconciliation process, Houston saw positive signs in what did -- and did not -- take place in Congress this year. "The Republicans could have called for a roll call vote on this provision, they could have tried to call for a roll call vote at the committee level, but they didn't do that," he noted. "As time goes by, I am confident that we are facing an increasingly receptive environment, not because the Republicans have seen the light, but because they are beginning to understand that it is not in their political interest to grandstand on these drug issues. They know it would alienate the Tea Party types, many of whom are fairly libertarian-leaning, and a lot of whom got their start in politics via activism in the Ron Paul campaign. While Republicans used to grandstand on this issue, now they don't see it as politically expedient, and that suggests how much progress we've made," Houston argued. 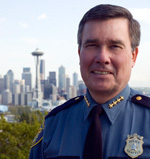 David Borden, executive director of StoptheDrugWar.org and one of the principal CHEAR organizers since its founding, also saw positive signs. "The good news is that HEA reform almost passed last week," he said. "And this time we didn't even have to remind members of Congress about the issue; it's part of the agenda, they figured out how much they thought they could achieve politically, and they even deflected Rep. Souder's challenges in committee and on the House floor to do that much. And it was in there until the very last day." Can that progress be transformed into an actual victory on HEA reform this year? There is still a chance, advocates said. "The next step is to try to get this in by the end of the Congress," said Houston. "We're still hopeful, but I would be hesitant to say what the vehicle for it would be." "Obama is talking about how he wants to do another education bill this year before the election," said Piper. "It's mainly about reforming No Child Left Behind, but will also contain some of his other priorities, like the reward program for the states, and they seem pretty serious about pushing that. We're hopeful that we can get HEA reform included in that, and we are contacting members of Congress about that. But at this point, it's far from clear the Democrats can get 60 votes to pass an education bill, with or without HEA reform." HEA reform came frustratingly close to fruition in last month's health care brouhaha. And a side effect of that battle was to cost HEA reform what would otherwise have been a likely vehicle for passage. Now, all activists can do is grit their teeth and return to the fight. Such are the ways of Washington. by borden, April 02, 2010, 12:00am, (Issue #626)It's here. The "10 Rules for Dealing with Police" DVD. Donate $30 or more and get a free copy mailed within one week. Near the town of General Trevino, Nuevo Leon, the decapitated body of a local police chief was found inside a car alongside the body of his brother. Heriberto Cerda was the police chief of the nearby town of Agualeguas. His killers left his head on his lap. The two men had been reported missing on Thursday. The windshield and drivers windows had the letters "C.D.G" written in blood, indicating that the killings were the work of the Gulf Cartel. 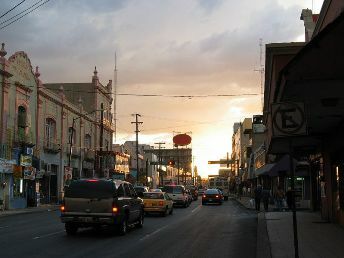 The incident comes one day after Mexican Marines were involved in a large firefight in another Nuevo Laredo town, Cerralvo. That incident occurred after Marines ordered gunmen in a six-vehicle convoy to stop and were answered by gunfire, leading to the deaths of six suspected drug traffickers. In Sonora, the police chief of the border city of Nogales was ambushed and killed by gunmen armed with AK-47's. Additionally on Friday, gunmen in Ciudad Juarez attacked a hotel used by federal police officials, killing one and wounding two others. Earlier that day, a police investigator was gunned down in a residential area of the city. In Morelia, Michoacan, two police officers were shot dead at a gas station. Two other unidentified men were found dead at the scene as well. One of the officers had previously been suspended from duty, and the other was apparently off duty. The two men had apparently gone to a gas station to purchase beer when they were attacked. Additionally, in Acapulco, a man whose hands were bound was found shot to death in a car. In Durango, gunmen killed ten young people at a roadblock in the "golden triangle" region where the states of Durango, Chihuahua and Sinaloa intersect. The ten individuals, ranging in ages from 8 to 21, were killed by gunfire and grenade blasts as they tried to speed through an improvised roadblock. In other news, Mexican authorities arrested a member of Los Aztecas gang in connection with the March killings of three people linked to the US consulate in Ciudad Juarez. Around the town of Santa Catarina, Nuevo Leon several people were reported killed in various incidents. Among the dead were two people gunned down in a motel along the highway to Saltillo, and a police officer found dead in a burning patrol car. In another incident, a group of gunmen attacked an army convoy in an attempt to free a prisoner who had been detained Saturday with 13 kilos of cocaine. The gunmen were traveling in a five-vehicle convoy and were heavily armed with automatic weapons and grenades. In the twenty-minute firefight that ensued, two soldiers and two civilians were wounded. After the incident, the army detained six individuals who were disguised as members of the municipal police. In Sinaloa, six people, including a police agent, were found dead. In one incident, gunmen barged into a hospital in the town of Los Mochis and shot dead a young man who had been wounded in an earlier incident. In another part of Sinaloa, a decapitated body was found along the road from Pericos to the small town of Badiguarato, which is known as the "cradle of capos" for the large number of high-level drug traffickers which were raised in the area, most notably Sinaloa Cartel boss Joaquin "El Chapo" Guzman. In other parts of Mexico, three policemen were killed in Chihuahua, two people were killed in Quinta Carolinas, five in the Ciudad Juarez area, two in Tamochi, three in Chilpancingo, one in Acapulco, four in the state of Mexico, and one in Jalisco. In Morelos, four decapitated bodies were discovered alongside a road stretching from Cuernavaca to Acapulco. A note was left at the scene threatening American-born drug trafficker Edgar Valdez Villareal. This indicates that the killings are somehow related to the ongoing power struggle between Villareal and Hector Beltran-Leyva for leadership of the Beltran-Leyva Cartel, which was left without a leader after the December killing of Arturo Beltran-Leyva by Mexican naval commandos. Additionally, two brothers were found shot dead in a house in the town of Ahuatepec, near Cuernavaca. In Reynosa, Tamaulipas, soldiers clashed with gunmen in at least five city neighborhoods. At least six people were killed in the fighting, and twelve people were taken into custody. At least two of the dead were civilians caught in the crossfire, and two were soldiers. During clashes in the Loma Linda sector of the city, several grenade detonations were reported. In Tampico, Tamaulipas, three men were reported killed in an exchange of gunfire between two rival groups. Tamaulipas has recently seen a drastic increase in violence as the Zetas Organization battle their former masters, the Gulf Cartel. In the states of Tamaulipas and Nuevo Leon, gunmen mounted seven large, coordinated attacks on seven locations, including two army bases. Eighteen people were reported killed in the fighting. In a rare frontal attack, the gunmen attacked in military style unit-formations with armored trucks, automatic weapons, and fragmentation grenades. In several locations, gunmen reportedly parked trucks and SUV's outside military bases and streets in an effort to block the movement of troops to and from garrisons. One soldier was lightly injured in the fighting. During the fighting, soldiers captured 54 assault rifles, 61 grenades, RPG's, eight homemade IED's, and six bulletproof vehicles. In San Francisco, prosecutors may be forced to drop as many as 1,400 drug cases in a growing scandal at the police drug lab. That number includes as many as 400 cases where people have already been convicted and are in drug rehab programs. Some 500 cases have already been dropped, although prosecutors say they may refile charges in some cases when independent testing is done. The lab was shut down March 9 after the department learned of allegations that veteran lab tech Deborah Madden had stolen and used cocaine held as evidence at the lab last year. Now, police are acknowledging that Madden may have stolen other drugs, including Oxycontin. She has yet to be charged. Other lab techs may have been involved in misdoings as well. Defense attorneys have reported the lab saying it had tested drug samples when it appears that the samples remain untouched. Stay tuned on this one. 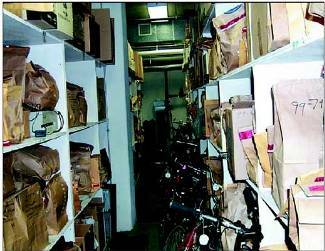 In Lawrenceville, Georgia, drugs have gone missing from the Gwinnett County Police narcotics locker. The theft was discovered March 19 after an audit of the locker. The Gwinnett County Police have asked the Georgia Bureau of Investigation to determine who stole the unspecified amount of drugs. In the past year, only 10 police supervisors have had access to the locker, and currently, only three can get into it. Last year, then narcotics and vice unit supervisor Lt. David Butler was busted for a similar theft from the narcotics locker. In Brownsville, Texas, a former US Customs agent was sentenced Wednesday to 12 years in prison for taking bribes to allow designated vehicles carrying drugs or illegal immigrants pass through his US port of entry inspection lane in Brownsville. Jose Raul Montano Jr. pleaded guilty to bribery, drug trafficking, and immigrant smuggling charges in November. Prosecutors said he made tens of thousands of dollars in the scheme. In St. Louis, a city jail guard pleaded guilty Tuesday to a reduced charge after being indicted for smuggling heroin into the jail. Marilyn Denise Brown, 54, pleaded guilty to one count of attempting to possess heroin. Brown admitted meeting an undercover officer and accepting a package she believed contained heroin. She was one of three city jail guards busted in a joint effort by the St. Louis Police and the DEA. The other two have already been convicted and sentenced to prison. Brown admitted meeting an undercover officer and accepting a package she believed contained heroin. In Folsom, California, a Sacramento State Prison guard pleaded guilty Wednesday to smuggling drugs and cell phones into the prison for inmates. Domingo Garcia, 40, admitted receiving a $1,500 payment from one inmate for bringing him pot and $1,300 from another inmate for bringing him cell phones. He pleaded guilty to three felony counts and faces a one-year jail sentence. A new poll by the Pew Research Center for the People and the Press has found that nearly three out of four Americans (73%) support legalizing the medicinal use of marijuana, while fewer than one out of four (23%) oppose it. Support is broad and solid, spanning all major political and demographic groups, and is equally high in states that do and do not already have medical marijuana laws. The poll comes with 14 states and the District of Colombia, representing about one-fourth of the US population, already having approved medical marijuana. Several other states, including New York, South Dakota, and Wisconsin could join the list this year, and medical marijuana has been an active issue in another dozen or so state legislatures this year. The poll identified concerns about medical marijuana. Nearly half (45%) of respondents said they would be "somewhat concerned" or "very concerned" if a medical marijuana dispensary opened in a local retail district, and about the same number (46%) said that allowing medical marijuana made it easier for people to obtain marijuana even if they didn't have a legitimate need. But only 26% said that bothered them. Not surprisingly, opponents of medical marijuana legalization were most likely to cite such concerns. When it comes to general marijuana legalization, support is much lower than for medical marijuana and is still a minority position. The Pew poll found that 41% or respondents supported legalization, while 52% opposed it. The good news is that figure is the highest since Pew started polling on the question in 1969 and it continues a steady upward climb in the past two decades. After support for legalization peaked at 30% in 1978, then bottomed out at 16% in 1990, support grew steadily, surpassing the 1978 level in 2000 (31%), and reaching 38% in 2008. It has grown by three percentage points in the last two years. The Pew numbers are similar to a Gallup Survey conducted last October that showed 44% support for legalization. Unfortunately, the Pew poll does not contain a regional breakdown of support. In California, an initiative has already made the ballot; in Oregon and Washington initiatives are still in the signature-gathering stage. The polling reveals significant demographic divides. A majority of under-30s (58%) support legalization, while support declining steadily with age. For those 30 to 49, support was at 42%, for 50 to 64, 40%, and for those 65 and older, support dropped dramatically to 22%. There are differences between the sexes. Men are almost evenly divided on the question (45% yes, 47% no), while 57% of women oppose legalization. An even higher percentage of Republicans (71%) oppose legalization, while Democrats are evenly divided, and liberal Democrats show majority support (57%) for legalization. Among independents, 49% support legalization. Among both Democrats and independents, support has increased dramatically in the past decade. Ten years ago, only 29% of Democrats and 35% of independents supported legalization. The poll found that 40% of respondents had tried marijuana, and that people who had tried marijuana were much more likely (64%) to support legalization, than those who had not (25%). Bottom line: We're not quite there yet nationally, but the trend line points to national majority support for general marijuana legalization within a decade. Office of National Drug Control Policy (ONDCP -- the drug czar's office) head Gil Kerlikowske declined to directly answer a question about how the federal government would respond if California voters passed the Tax, Regulate and Control Cannabis Act, the marijuana legalization initiative sponsored by Oaksterdam entrepreneur Richard Lee. Kerlikowske's no comment came in a Thursday webcast on ABC News' Top Line program. Kerlikowske said he wouldn't speculate on how the Obama administration would respond to a legalization victory in November. "Since it hasn't passed -- right now it would be improper to speculate on what the federal government's role is," he said. The Obama administration has made it clear it would respect the rights of medical marijuana patients and providers in states where it is legal, but it is not at all clear that it would respond in the same way to legalization for personal use. When prodded, Kerlikowske said the federal government could respond in a variety of ways, including filing lawsuits to litigate differences between state and federal drug laws. "You can envision a lot of different things," he said. Let's hope that come November, the question is no longer hypothetical and the administration will be forced to grapple with the question of how to deal with Californians having voted to free the weed. Then things could get really interesting. State and local law enforcement agencies in states that direct that seized assets go into the state general fund -- instead of into the hands of the seizing agency -- are increasingly turning their booty over to the federal government in a bid to keep their hands on the loot, according to a new report from the libertarian-leaning Institute for Justice. So-called "equitable sharing" between local cops and the feds nearly doubled between 2000 and 2008, from slightly more than $200 million to $400 million. The report, Policing for Profit: The Abuse of Civil Asset Forfeiture said that the trend toward "equitable sharing" is most pronounced in states that limit the use of proceeds from asset forfeitures. Similarly, in states where property owners are presumed innocent, law enforcement is more likely to collaborate with the feds to take advantage of looser federal asset forfeiture standards. "These results demonstrate not only that federal equitable sharing is a loophole that state and local law enforcement use to circumvent strict state laws, but also that pursuit of profit is a significant motivator in civil forfeiture actions," the report found. "Simply put, when laws make civil forfeiture easier and more profitable, law enforcement engages in more of it." The report also grades the 50 states on how well asset forfeiture laws protect the rights of citizens and provides an "evasion grade" measuring the degree to which state and local law enforcement bypass limits in state laws in order to keep the profits from seized assets for themselves. It was a dismal exercise, with only three states -- Maine, North Dakota, and Vermont -- receiving a combined grade of B or higher. The other 47 states all received C's or D's. The lowest-graded states overall, with both poor laws and aggressive resort to "equitable sharing," are Georgia, Michigan, Texas, Virginia, and West Virginia. In 2008, the latest year tallied in the FBI's Uniform Crime Report, more than 14 million people were arrested in the United States, and uncounted millions more were subject to "stop and frisk" searches either on the streets or after being stopped for an alleged traffic violations. Of all those arrests in 2008, more than 1.7 million were for drug offenses, and about half of those were for marijuana offenses. For both pot busts in particular and drug arrests in general, nearly 90% of those arrested were for simple possession. 10 Rules is available with a donation to StoptheDrugWar.org now! "10 Rules" will help the both the entirely innocent and those guilty of nothing more of possessing drugs in violation of our contemptible drug laws reduce the harm of their run-ins with police. Not that it encourages the violation of any laws -- it doesn't -- but it does clearly, concisely, and effectively explain what people can do to exercise their constitutional rights while keeping their cool, in the process protecting themselves from police who may not have their best interests in mind. Those stops and those arrests mentioned above, of course, were not random or evenly distributed among the population. 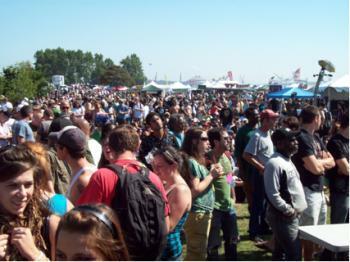 If you're young, or non-white, or an identifiable member of some sub-culture fairly or unfairly associated with drug use, you are much more likely to be stopped, hassled, and perhaps arrested. The writers of "10 Rules," Scott Morgan and Steve Silverman of Flex Your Rights understand that. Building on the foundation of their 2003 video, "Busted: A Citizen's Guide to Surviving Police Encounters," which featured mainly young, white people involved in police encounters, Morgan and Silverman have expanded their target audience. In three of the four scenarios used in the video -- a traffic stop and search, a street stop-and-frisk search, and a knock-and-talk home search -- the protagonists are a young black man, a young Latino man, and a black grandmother, respectively. In only one scene, two young men apparently doing a dope deal on the street, are the citizen protagonists white. That's not to say that "10 Rules" is intended only for the communities most targeted by police, just that the writers understand just who is being targeted by police. The lessons and wisdom of "10 Rules" are universally relevant in the United States, and all of us can benefit from knowing what our rights are and how to exercise them effectively. "10 Rules" does precisely that, and it does so in a street-smart way that understands cops sometimes don't want to play by the rules. "10 Rules" build upon the earlier "Busted" in more than one sense. While "10 Rules" is expanding the terrain covered by "Busted," it has taken the cinematic quality to the next level, too. While "Busted" was made using a beta cam, this flick is shot in High Definition video, and that makes for some great production values, which are evident from the opening scene. "10 Rules" was shot on a bigger budget that "Busted," it has more actors (including some drug reform faces you might recognize), and more professional actors, and it has more of the feel of a movie than most video documentaries. And it has legendary defense attorney William "Billy" Murphy, who plays the role of socratic interlocuter in the video. (You may remember him from appearances on HBO's "The Wire.") Appearing in a courtroom-like setting before a multi-ethnic group of very interested questioners, the pony-tailed lawyer begins with a basic discussion of the rights granted us by the US Constitution, especially the Fourth, Fifth, and Sixth amendments dealing with the right to be free of unwarranted searches, the right to stay silent, and the right to legal counsel. His performance, folksy, yet forceful; scholarly, yet street-savvy, sparkles throughout; his natural charisma shines through. From there, we alternate between Williams and his audience and the scenarios mentioned above. We see the young black man, Darren, get pulled over in traffic, produce a bit of bad attitude, and suffer mightily for his efforts. He gets handcuffed, manhandled, and consents to a search of his vehicle, after which the cop leaves his belongings strewn in the wet road and gives him a traffic ticket. Then it's back to the courtroom, where Darren, angry and feeling disrespected, tells his tale. Murphy is sympathetic, but explains that Darren broke rule #1. "Rule #1, always be calm and collected," the veteran attorney intones. "A police encounter is absolutely the worst time and place to vent your frustrations about getting stopped by the police. As soon as you opened your mouth, you failed the attitude test. Don't ever talk back, don't raise your voice, don't use profanity. Being hostile to police is stupid and dangerous." Such advice may be frustrating, but it's smart, and it's street-smart. Murphy noted that things could have turned out even worse, as the video showed in an alternate take on the scene with Darren twitching on the ground after getting tasered for his efforts. He also threw in some good advice about pulling over immediately, turning off the car, keeping your hands on the wheel, and turning on an interior light just to reduce police officers' nervousness level. Murphy uses the same scenario with Darren to get through rule #2 ("You always have the right to remain silent"), rule #3 ("You have the right to refuse searches"), rule #4 ("Don't get fooled" -- the police can and will lie to you or tell you you'll get off easier if you do what they ask), and rule #5 ("Ask if you are free to go"). This time, the cop still has a bad attitude and Darren still gets a ticket, but he doesn't counterproductively antagonize the cop, he doesn't get rousted and handcuffed, he doesn't allow the cop to search his vehicle, he doesn't get intimated by the officers' threat to bring in a drug dog that will tear up his car, and he does ask if he's free to go. He is. Which brings us to a discussion of probable cause and and rule #6: "Don't expose yourself" and give police probable cause to search you. The video shows a car with bumper stickers saying "Got Weed?" "Bad Cop, No Donut," and "My other gun is a Tech-9" -- probably not a smart idea unless you really enjoy getting pulled over and hassled. More generally, "don't expose yourself" means that if you are carrying items you really don't want the police to see (and arrest you for), don't leave them lying around in plain sight. That's instant probable cause. I'm not going to tell you the rest of the rules because I want you to see the video for yourself. But I will tell you about the heart-rending scene where the black grandmother lets police search her home in the name of public safety -- there have been some gang gun crimes, they explain pleasantly -- and ends up getting busted for her granddaughter's pot stash, arrested, and is now facing eviction from her public housing. Under Murphy's guidance, we rewind and replay the scene, with grandma politely but firmly exercising her rights, keeping the cops out of her home, and not going to jail or being threatened with losing her home. In a time when police are more aggressive than ever, "10 Rules" is an absolutely necessary corrective, full of folksy -- but accurate -- information. "10 Rules" is the kind of basic primer on your rights that every citizen needs to know, it's well-thought out and well-written, and it not only is it full of critically important information, it's entertaining. Go watch it and learn how to flex your rights. Better yet, watch it together with your friends, your family, or your classmates, then practice putting the rules into effect. Sometimes it's as simple as saying a simple phrase -- "Officer, am I free to go?" Do some role-playing, practice saying the magic words, and "10 Rules" can help you survive any police encounter in better shape than otherwise. When you're done, watch it and practice again -- familiarity is the best help when facing an intimidating police officer staring down at you. We all owe a debt of gratitude to people who feel strongly enough about the rule of law in this country to help others learn how the law protects them and how to protect themselves within the law. A big thank you to the guys at Flex Your Rights is in order. And they would be the first to tell you the best way to thank them is to learn and apply the "10 Rules." In a report released this week, the UN Office on Drugs and Crime (UNODC) announced that Afghanistan is now the world's largest cannabis producer, surpassing Morocco. Afghanistan is already well entrenched as the world's largest opium poppy producer as well, supplying more than 90% of the illicit global market for opium and heroin. In the report, the Afghanistan Cannabis Survey 2009, the UNODC estimated the extent of Afghan cannabis production at between 25,000 and 60,000 acres. While the number of acres under production is lower than in Morocco, the robust yields from Afghan cannabis -- about 90 kilograms of cannabis resin (hashish) per acre versus about 25 kilograms per acre in Morocco -- make Afghanistan the world leader in cannabis production, the UNODC said. 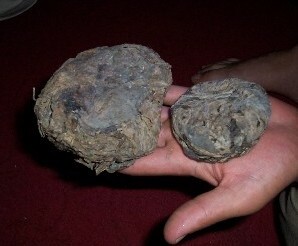 Afghanistan is producing somewhere between 1,500 and 3,500 tons of hash a year, the report estimated. "This report shows that Afghanistan's drug problem is even more complex than just the opium trade," said Antonio Maria Costa, head of UNODC in the report. "Reducing Afghanistan's cannabis supply should be dealt with more seriously, as part of the national drug control strategy." Cannabis production is occurring in exactly half of Afghanistan's 34 provinces, the report found. It noted that production was shifting from the north -- the traditional locus of cannabis planting in the country -- to the south and east, the areas where the Taliban insurgency is strongest and the government presence weakest. As with opium, some of the profits from the hash trade are ending up in the pockets of the Taliban. The insurgents typically siphon off millions of dollars by imposing taxes on farmers and smugglers to ensure safe passage of their goods. "Like opium, cannabis cultivation, production and trafficking are taxed by those who control the territory, providing an additional source of revenue for insurgents," the report said. The report estimates annual farm gate income from cannabis at between $39 million and $94 million a year, a fraction of the size of the opium trade, but still not an insignificant sum. Some 40,000 farm families generate income from cannabis growing, including families that are also growing opium. The UNODC said that farmers can earn a net income of $3,300 per year growing cannabis, compared to $2,000 growing opium. For the UNODC, rising cannabis production should be responded to in the same way the West has responded to Afghan opium production. "As with opium, the bottom line is to improve security and development in drug-producing regions in order to wean farmers off illicit crops and into sustainable, licit livelihoods, and to deny insurgents another source of illicit income," Costa said. But Afghanistan is arguably the home of cannabis, with strains like "Afghani" still highly valued by connoisseurs. It is difficult to imagine that there will ever be a time when there is no Afghani being grown in Afghanistan. April 3, 1953: With the support of Allen W. Dulles, director of Central Intelligence, Richard C. Helms proposes funding for a biochemical warfare research program named MKULTRA, which among other things administers LSD to its unknowing participants. April 2, 1988: The Economist editorializes in favor of bringing drug users within the law by allowing them to purchase limited doses of drugs that have been manufactured and distributed legally. April 8, 1989: Miguel Angel Felix Gallardo is arrested in Mexico. Guillermo Gonzalez Calderoni leads a team of Federal agents who arrest the drug lord in a residential suburb of Guadalajara. Gallardo is imprisoned on charges relating to the kidnapping and murder of Enrique Camarena. His nephews, the Arellano-Felix brothers, inherit part of his drug-trafficking empire. April 6, 1995: ABC News airs a special entitled "America's War on Drugs: Searching for Solutions" in which legalization is presented as an alternative to the failing war on drugs. April 6, 1998: Dr. Dennis Rosenbaum's six year study of 1,798 students, "Assessing the Effects of School-based Drug Education: A Six Year Multilevel Analysis of Project DARE," finds that "DARE had no long-term effects on a wide range of drug use measures," that DARE does not "prevent drug use at the stage in adolescent development when drugs become available and widely used, namely during the high school years," and that "DARE may actually be counterproductive." April 5, 2000: The Journal of the American Medical Association publishes "Trends in Medical Use and Abuse of Opioid Analgesics." The researchers conclude: "Conventional wisdom suggests that the abuse potential of opioid analgesics is such that increases in medical use of these drugs will lead inevitably to increases in their abuse. The data from this study with respect to the opioids in the class of morphine provide no support for this hypothesis. The present trend of increasing medical use of opioid analgesics to treat pain does not appear to be contributing to increases in the health consequences of opioid analgesic abuse." April 6, 2000: The First National Clinical Conference on Cannabis Therapeutics convenes at the University of Iowa. April 2, 2003: US Rep. Ron Paul asks the US Government Accountability Office (GAO) to investigate whether the Office of National Drug Control Policy violated the Congressional ban on spending funds on publicity or propaganda. Scott Morgan writes: "Embarrassing Typo on Anti-Legalization Site," "Drug Czar Doesn't Want to Discuss California's Legalization Effort," "Sting Says End the Drug War," "Medical Marijuana on South Park Tonight," "Drug Cartels Are Terrified of Marijuana Legalization," "Illegal Growers Are Terrified of Marijuana Legalization," "An Argument to Avoid Making, Part 2." Phil Smith posts early copies of Drug War Chronicle articles. Again, http://stopthedrugwar.org/speakeasy is the online place to stay in the loop for the fight to stop the war on drugs. Thanks for reading, and please join us on the comment boards. Want to help end the "war on drugs," while earning college credit too? Apply for a StoptheDrugWar.org (DRCNet) internship and you could come join the team and help us fight the fight! StoptheDrugWar has a strong record of providing substantive work experience to our interns -- you won't spend the summer doing filing or running errands, you will play an integral role in one or more of our exciting programs. Options for work you can do with us include coalition outreach as part of the campaign to rein in the use of SWAT teams, to expand our work to repeal the drug provision of the Higher Education Act to encompass other bad drug laws like the similar provisions in welfare and public housing law; blogosphere/web outreach; media research and outreach; web site work (research, writing, technical); possibly other areas. If you are chosen for an internship, we will strive to match your interests and abilities to whichever area is the best fit for you. While our internships are unpaid, we will reimburse you for metro fare, and DRCNet is a fun and rewarding place to work. To apply, please send your resume to David Guard at [email protected], and feel free to contact us at (202) 293-8340. We hope to hear from you! Check out our web site at http://stopthedrugwar.org to learn more about our organization. Community Access, Inc. (CA) is a progressive not-for-profit organization that for the last 35 years has helped thousands of people diagnosed with psychiatric disabilities to make the transition from hospitals and shelters to independent living. CA's primary mission is to identify needs and create solutions for homeless people with psychiatric disabilities. Programs include over 800 units of supportive housing in three boroughs, the Howie T. Harp Peer Advocacy Center and Club Access. The Harm Reduction Specialist provides engagement and support services, particularly to tenants engaging in risky behaviors such as drug and alcohol misuse, unsafe sexual practices, and self-harm, using a harm reduction model. The emphasis is on meeting individuals "where they are at" and providing non-judgmental, non-coercive services and resources to individuals engaging in risky behaviors. In addition, the Harm Reduction Specialist provides consultation, training, and support to program staff in their work with tenants engaging in risky behaviors. The intention is that the Harm Reduction Specialist will be a leader in forwarding Community Access' commitment to providing services using a harm reduction model. Qualified candidates must have three to five years experience working with substance abuse and psychiatric disabilities; possess a thorough understanding of harm reduction; have a commitment to recovery oriented practice; and must be fingerprinted and cleared by the Office of Mental Health (OMH); have a minimum of a high school diploma or equivalent (GED) -- Bachelor's degree, preferred. This is a Full-Time position; annual salary is low to mid 30K's, plus an excellent benefits package. Bilingual candidates are encouraged to apply. Interested candidates should send their cover letter and resume to Community Access, 2 Washington Street, 9th floor, NY, NY 10004, Attn: HR Dept. or e-mail [email protected] or fax to 646-365-0458. Community Access is an Equal Opportunity Employer. M/F/D/V. Women, People of Color and Members of the LGBT community are strongly encouraged to apply. CA is committed to the hiring of at least 51% consumer staff, in all of its departments and programs, and at all levels of management.